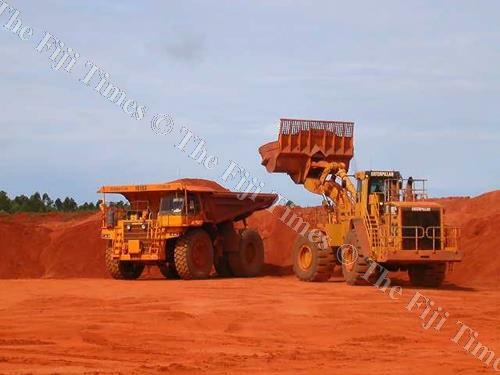 THE mining and quarrying industry in Fiji has been labelled as a “problem sector” by Australian-based consultant Dr Partha Gangopadhyay who was hired by Government to conduct a review on the national minimum wage. Dr Gangopadhyay a Professor in the School of Business at the Western Sydney University made the comments while discussing the 10 sectorial industries at a consultation organised by the Ministry of Employment, Productivity, and Industrial Relations. “I don’t have to tell you but this is a problem sector by now, most of the mines have been depleted, exhausted. Resources have been taken away or have gone too deep, productivity rate is very slow, productivity growth since last year is 0.5 per cent and our concern is this sector brought a lot of resources, a lot of money to Fiji, a lot of employment, a lot of skill development and today it is a struggling sector,” Dr Gangopadhyay said. The proposed minimum wage for those in the mining and quarry industries is to have a wage increase by 1.029 per cent. The current national minimum wage is $2.68.